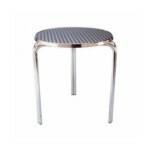 Our metal cafe stacking tables are an excellent furniture hire option for outdoor events. 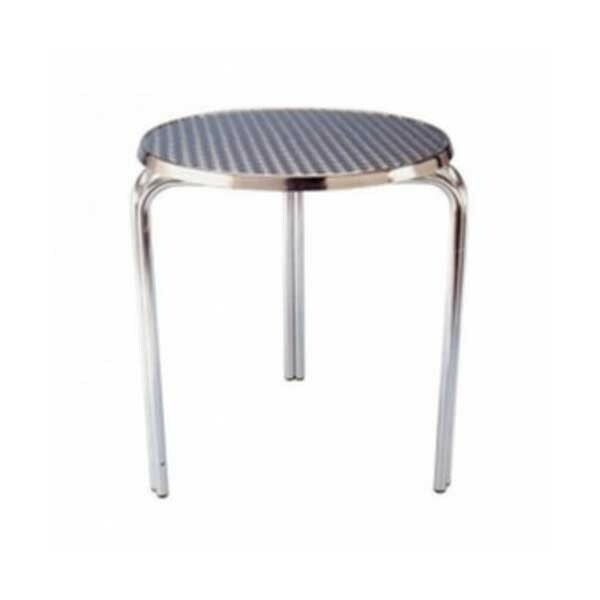 Importantly, these tables are stackable and so are easily transported to your venue or site and then easily moved around your site to place them where you need them. 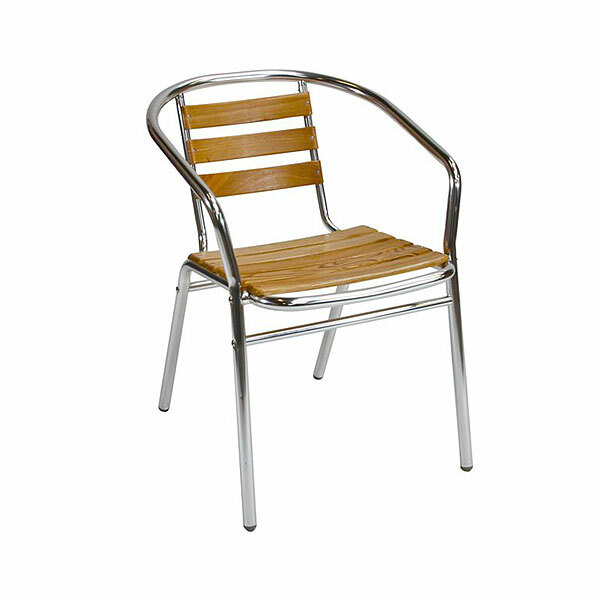 These metal outdoor tables have a modern three leg design and you can combine with them our aluminium cafe chairs, for example, or even our aluminium and teak cafe chairs to create the perfect outdoor (or indoor) seating area for a temporary eating area. 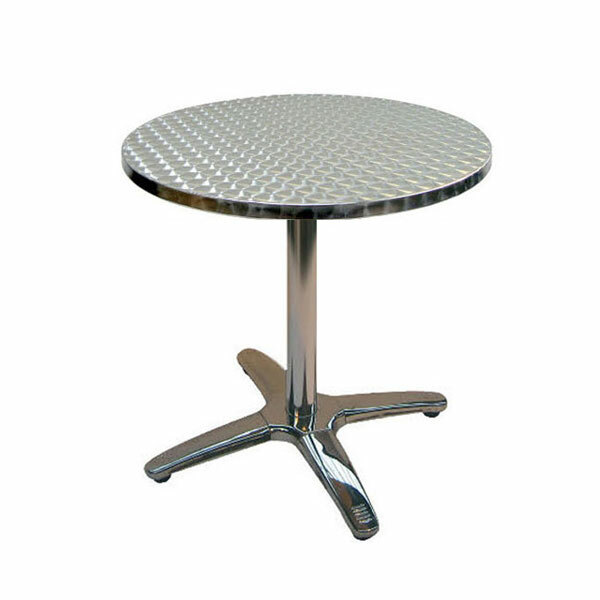 These tables are perfect for use in exhibition halls, and at outdoor events such as festivals, carnivals and country fairs, for instance, where you want to provide some seating and tables for your guests in the catering and refreshments area or food hall, depending upon the nature of your event. 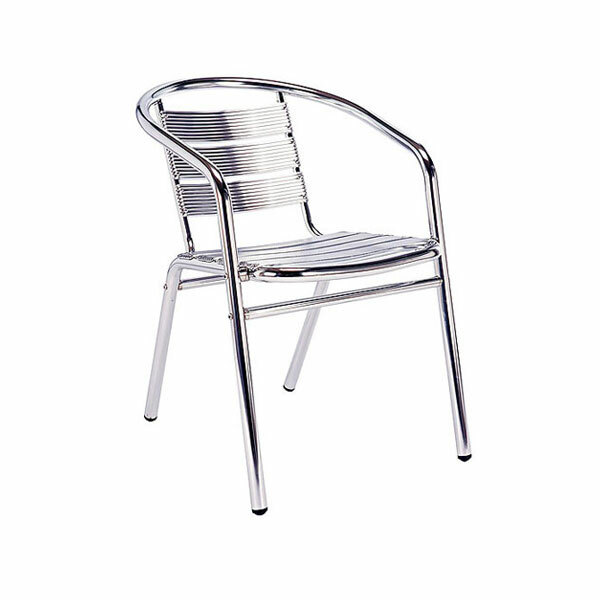 You can hire metal outdoor tables and indeed the complete range of outdoor furniture hire from the experts here online at Event Hire UK. 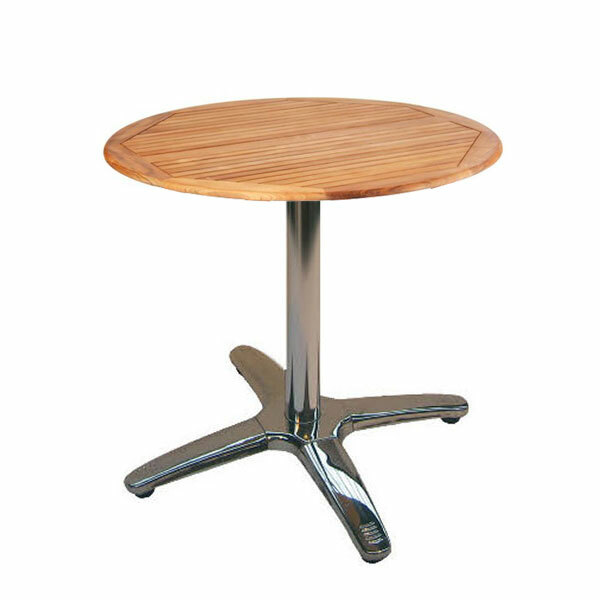 We offer a nationwide transport service from our network of sales and distribution centres, providing you with a seamless and hassle free hire experience on all things furniture hire, catering equipment hire, cutlery hire, glassware hire and event crockery hire. Place your order with the experts today!